I have been dealing with the question of political participation or incorporation for quite some time, since there have been few studies on the subjective point of view of the research subjects. Earlier studies, especially those on FSU immigrants have usually focussed on social or economic incorporation. The particular topic, the notion of citizenship of activists in the Yisra'el Beitenu party, chose me, since its centrality emerged from the material during the process of analysis. 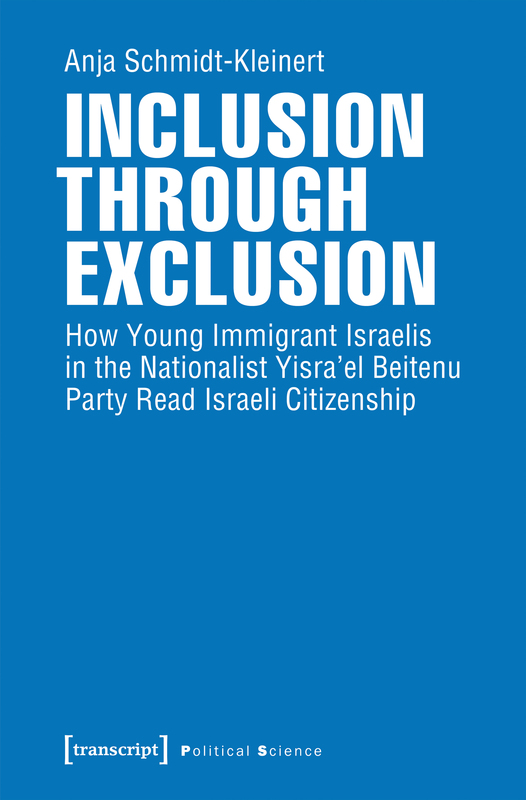 Accordingly, the book takes young activists in an extreme right political party in Israel, Yisra'el Beitenu, as a case study for political incorporation. By doing so, the study offers an insight perspective on how people with an immigrant background construct a sense of belonging on the basis of the resources available to them. In this regard, the study also re-strengthens the link between approaches to discourse analysis and Bourdieu's concepts of capital and social space. The book adds insight to several research debates; as I said before, it adds a subjective perspective to the political incorporation of people with an immigrant background. Besides, it sheds light in particular on the notion of citizenship among people engaged in the secular extreme right in Israel and the references they can make to public discourse. Last, but not least, it adds a layer to understand how (European) extreme right parties use anti-Muslim attitudes for political purposes. Hard to say, since I discussed my main findings with many of the authors I cite – in my head. But if I were to choose, I would like to discuss my work with Pierre Bourdieu, and in particular the question how, against the background of his concepts, social groups can become dominant by dominating the public discourse. This is a question, which emerges in my book, but also one, which is particularly relevant with regard to the central role social media have today to structure the political field. The book shows how young immigrants construct belonging by reproducing the ethnographic-nationalist discourse of the receiving country.